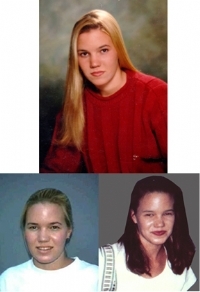 On May 25, 1996, Kristin Denise Smart was a freshman student at California Polytechnic State University near San Luis Obispo, California, and was 19 years of age. She was last seen just before 2:00 a.m. walking to her dorm room with Paul Flores, a 20 year old male student who reportedly had just met Kristin at an off-campus party a few blocks away. Both had reportedly been drinking alcohol. Flores has said that he separated from Kristin near his dorm room, and reported that she walked the short distance to her dorm room alone. Kristin did not return to her room and has not contacted family or friends since that time. She did not have identification, money or extra clothing when she disappeared. A reward of up to $75,000 is being offered for information regarding the whereabouts of Kristin or which leads to the criminal conviction of any person involved in her disappearance. Persons with information about Kristin or Paul Flores should contact Detective Clint Cole of the San Luis Obispo County Sheriff`s Department at (805) 788-2157 or the Federal Bureau of Investigation at (805) 934-2444. Persons may also call CrimeStoppers at (805) 549-7867 or submit a tip through this website. Last Known Location: The area of Highway 1 and Calendar Road on the Nipomo Mesa. Frequents the Ocean and Nipomo areas of CA. The San Luis Obispo County Sheriff’s Office is requesting the public’s assistance with a missing person investigation. Rafael Chavez Gonzalez of the Oceano and Nipomo, CA area, was last seen on October 22, 2013, in the area of Highway 1 and Calendar Road on the Nipomo Mesa. 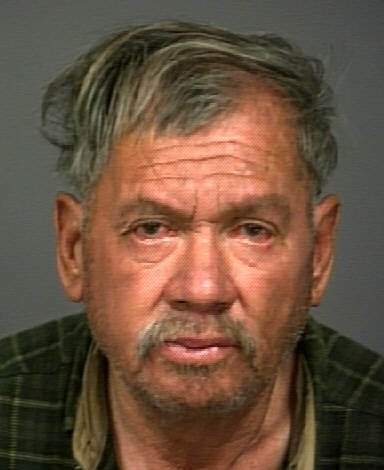 Mr. Gonzalez is known to frequent the Oceano area and leads a transient lifestyle. He is described as 5’9”, 140 pounds, with black hair and brown eyes. He is missing his left arm from a previous accident. Sheriff’s Detectives have conducted a coordinated search of the areas frequented by Mr. Gonzalez, with negative results, and are asking for the public’s assistance. Additionally, Crime Stoppers is offering a reward of up to $1,000.00 for information leading to Mr. Gonzalez being located. If anyone has information on the whereabouts of Rafael Chavez Gonzalez, they are urged to call the San Luis Obispo County Sheriff`s Department at (805) 781-4550, or remain anonymous by calling Crime Stoppers at (805) 549-STOP (7867) or submit your tip through this website. On 12/23/09 at approximately 6:30 PM the San Luis Obispo Police Department took a report of a missing person. Mr. George Carpenter, age 74, left his home in San Luis Obispo at approximately 2:00 PM to take his dog to Laguna Lake Park and has not returned. Mr. Carpenter exhibits mild symptoms of dementia and can lose his way in familiar areas. He was driving his Jeep Comanche described below and was in the company of his black Labrador, which has no tail. Mr. Carpenter`s vehicle is described as a 1989 Jeep Comanche, grey w/camper shell, CA Lic/3W27270, with a “Darwin” Fish w/legs decal on the back of the truck. San Luis Obispo County Crime Stoppers is offering a reward up to $1000.00 for information leading to Mr. Carpenter’s location. If anyone knows where Mr. Carpenter is or has seen him or his vehicle please call the San Luis Obispo Police Department at (805) 781-7317, or remain anonymous by calling Crime Stoppers at 549 STOP (549-7867) or submit your tip through this website. Last Known Location: Going for a walk west bound on Capistrano from her residence in Pismo Beach, CA. Thompson possibly suffers from Dementia and becomes confused easily. San Luis Obispo County Crime Stoppers is offering a reward up to $1000.00 for information leading to Ms. Thompson’s location. If anyone knows where Ms. Thompson is or has seen her please call the Pismo Beach Police Department at (805) 773-2208, or remain anonymous by calling Crime Stoppers at 549 STOP (549-7867) or submit your tip through this website. 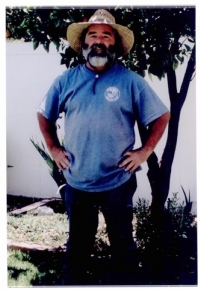 On July 12, 2008, at about 6:30 pm, Patrick Valente, then 58 years old, was reported missing from his residence in the 2500 block of Callender Road in the rural area of Arroyo Grande, CA. Patrick Valente was last seen on July 4, 2008, near his residence. Patrick Valente is a white male, 60 years old, 5’9” tall, 195 pounds, with brown hair and green eyes, and a full salt and pepper beard. Patrick Valente’s clothing description is unknown, and there is no vehicle associated with him at this time as all of his vehicles are accounted for. Crime Stoppers is offering a reward of up to $1,000.00 for information leading to his location. If anyone has any information regarding his whereabouts, has seen him, or has any information related to his disappearance, please contact the San Luis Obispo County Sheriff’s Office at (805) 781-4550, or remain anonymous by calling Crime Stoppers at (805) 549-STOP (7867). You can also submit your tip through this website. 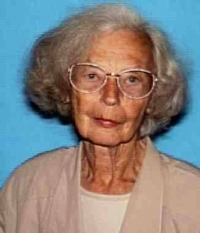 On 06/01/07 at 0700 hours, Janet DeFelice, 88, was reported missing from her son`s residence in the 5200 block of Santa Rita Ranch Road in rural Templeton. San Luis Obispo Sheriff`s Search and Rescue, assisted by other local and state agencies, conducted an extensive search of the area but to date have been unable to locate her. DeFelice had recently been relocated to Templeton from Southern California due to recent dementia/alzheimers difficulties. 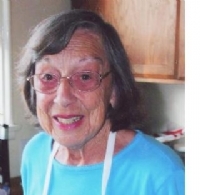 DeFelice is a white female, 88 years old, 5`7" tall, 130 pounds, with brown eyes and gray hair. She was last seen wearing a red sweatshirt, black sweatpants, white tennis shoes, and gold rimed glasses. Crime Stoppers is offering a reward up to $1000.00 for information leading to her location. If anyone knows where she is or has seen her please call the San Luis Obispo County Sheriff's Office at (805) 781-4550. To remain anonymous, call Crime Stoppers at (805) 549-STOP (7867) or submit your tip through this website.